Boone Homes Knows What Women Want! Boone Homes designs and builds Richmond and Roanoke new homes, the award-winning builder targets the top home-buying demographic: women. And Boone Homes knows what women want! Organization. 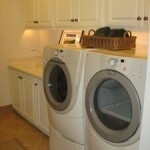 Boone Homes gives the female buyer what she wants by designing easy-to-clean mudrooms, elaborate laundry rooms and the newest kitchen designs and technologies, along with other highly demanded features. Boone Homes offers home plans that help women organize their family lives more efficiently so they have more time and energy to focus on the many demands pulling them from outside the home. 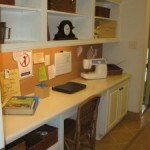 extra large laundry rooms with enough space to add a large sink, countertops, desk space and organizational cubbies. Mudrooms provide similar opportunities for keeping coats, backpacks and sports equipment in their proper places, with tile floors, cubbies, hooks and shoe storage. Examples of fully finished mudrooms can be found in the Westcott and Grey Oaks communities in Richmond, Va.